Moving out of our teensy Greenwich Village garret and into a relatively cavernous cottage on the California coast has been quite the process. Among the great changes: we finally have all of our possessions in one place; no longer are they stashed in other people’s attics and closets. For me, that means a veritable mountain of needlework supplies. Not only my own accumulations from the past decade, but also a fair stash inherited from my grandmother — not to mention a series of generous gifts passed down from friends and neighbors. 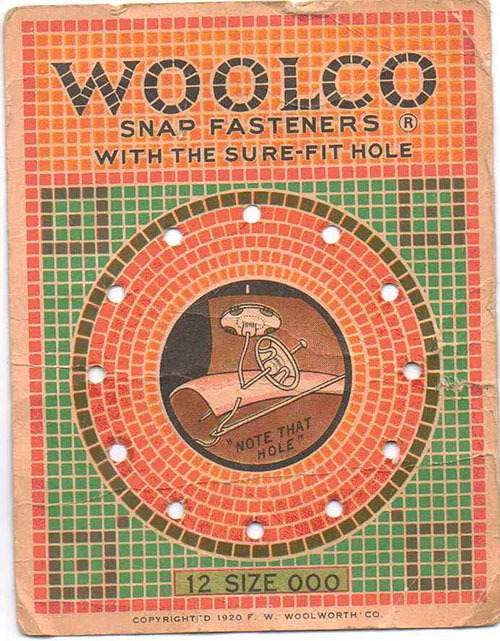 Recently, in the midst of negotiating a fantastic bunch of old notions into the antique wardrobe which is temporarily housing my ribbon, lace, and fasteners, I came across these glorious snap cards. Each was holding only one or two metal snaps, and it seemed a waste of space to store them so. Since the vintage snaps are virtually indistinguishable from their modern counterparts (nice to know some things haven’t changed), I consolidated onto a more recent card, leaving these beauties as you see them. 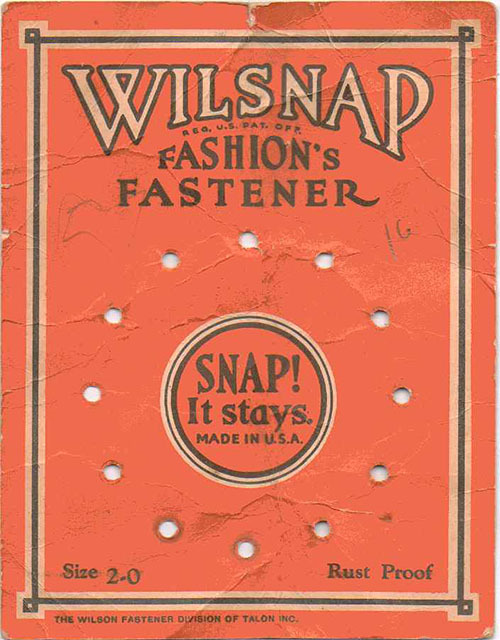 Based on some very cursory research, it seems that metal snap fasteners were introduced in the late 19th century. 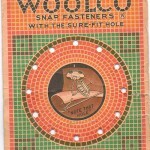 You certainly see enough of them on early 20th century clothing — and not just casual wear. 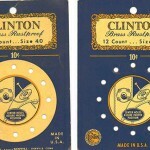 They are widely used on gowns, dresses, blouses, skirts — anywhere that a hook and eye might have shown up a few decades earlier. 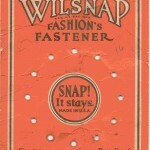 Snaps have the added advantage of not requiring tension to keep them closed (like hook and eye fasteners do), so they were well suited to the looser styles that evolved following World War I. 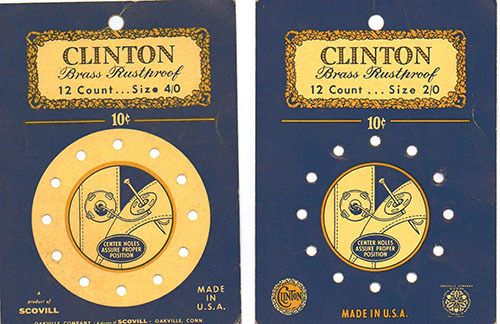 They come in a handful of sizes — the smallest being 4-0, recommended for delicate sheer fabrics, like lawn or batiste. Given my current penchant for armistice blouses (more on that shortly), you can bet I’m digging the snap of late. Plus these gorgeous deco cards! Cute! I’ve been accumulating a bunch of vintage notion packages too. They’re so pretty that I don’t have the heart to throw them away. I’ll have to think of some way to display them. Any ideas? I saw one of them on your blog!! Definitely a keeper. I have been toying with the idea of getting one of those multiple picture frames to display them…how about you? That’s a good idea! I was also thinking of some kind of collage or maybe using a shadowbox. Anyway, for now I’ll add it to my long list of “someday” projects!